Shirley Jackson is best known for her classic short story, The Lottery and The Haunting of Hill House. 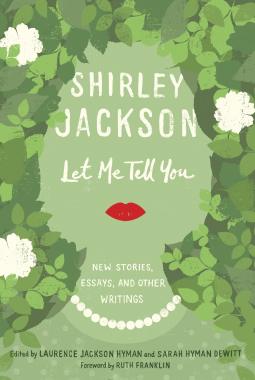 Let Me Tell You is a collection of Jackson’s unpublished short stories and essays on writing gathered by her family. Twenty-two short stories involve the sinister, secret underside of suburban life, which she experienced herself. Along with being a successful writer, she was also a housewife. Many of her short stories were semi-auto biographical. 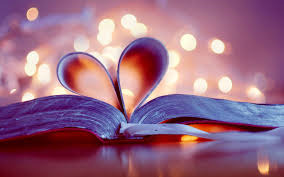 Shirley Jackson was an accomplished writer married to Stanley Edgar Hyman, a professor and book critic.”A Garland of Garlands” is about a woman complaining about her difficulty being married to an unappreciative book critic. In other stories, we can feel her resentment of the housewife role in “Here I Am, Washing Dishes Again”, “Still Life With Teapot and Students” and “Company For Dinner.” I especially enjoyed “Mrs. Spencer and The Oberons”, Root of Evil” and her personal essays at the end. Let Me Tell You is an entertaining selection of her writing. If you’ve never read any of her novels, I’d suggest reading her novels first, which show her mastery of psychological horror. Highly recommended for those who enjoy psychological horror or Twilight Zone – like stories. An ARC of this book was provided by the publisher in exchange for an unbiased review.